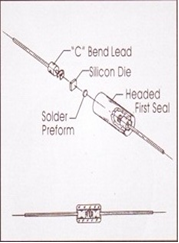 Diodes: CIT Ireland Limited is the worlds leading high volume, automated producer of Glass to Metal Seal and Glass to Glass Seal components used in the manufacture of silicon & germanium point contact, microwave and RF diodes. 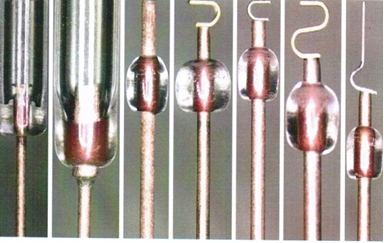 We work across a wide range of wire diameters from 0.076mm – 1.52mm. 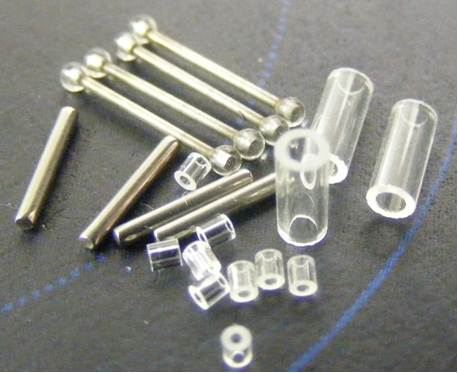 Glass tubing, cases & beads can be drawn and cut to specification, covering a wide range of OD, ID, wall thickness and length. - Cutting, Processing and sealing hard glass beads to wire forms per specification.